1. Martin Hanan acts as Managing Director, with specific responsibility for sales and marketing. He has extensive experience and a strong background in manufacture, sales and marketing of fast moving consumer goods. Initiated manufacturing start- ups in both Ireland and South Africa. A Former Ernst and Young Sponsored Young Entrepreneur of the Year, he has served as Sales Coordinator with Cantrell and Cochrane, Sales Manager with Rowa Pharmaceuticals, CEO of Internet Business Ireland and Managing Director of Martins Natural Foods. 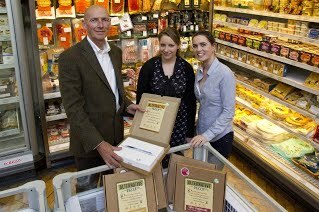 He first became a shareholder and was appointed Managing Director of the Alternative Pizza Company in late 2005. 2. Marc Rafferty has a BSc degree in business from Trinity College Dublin, graduating in 1995. Marc returned to Ireland in 2005 after 10 years experience gained working in the US and Holland with innovative SMEs. Since then Marc has been a socially conscious and community driven entrepreneur having owned, managed and grown Irish brands and companies such as http://www.gocar.ie, http://www.ebow.ie, The Real Olive Company and Alchemy Marketing. His expertise will be invaluable in developing a community around the Alternative brand and in international business development for the company. 3. Frank Dineen specific responsibility is to manage the finance and administration for all aspects of the business for APC. Frank is a qualified CIMA Accountant with extensive experience in many early stage start-ups. He currently acts for, among others, Sage Business accounting systems.